Power English School is looking for a qualified, energetic, and positive teacher to join our teaching team! We offer a competitive salary with opportunities for career advancement & fully planned lessons packed with exciting activities. The contract starts in mid-May, so apply today! Great Opportunity for NES English Teacher - We offer highly-paid positions in the perfect working environment and ideal location in Thailand! We are a growing Language Academy based in Ratchaburi, Thailand that offers its employees a competitive salary, superb working conditions, opportunity for career advancement & fully planned lessons packed with exciting activities! The Company: Power English School is a professionally-run, modern English Language Academy and is known for the great care we take with students and employees alike. • Our company is professionally-run with managers who understand the wants and needs of both teachers and students. • We believe that English learning should be engaging, active, immersive and enjoyable. The Position: We’re looking for enthusiastic teachers to deliver our tried and trusted lessons to enthusiastic students at all levels from beginner to advanced. The pay range we’re offering is 38,000 to 40,000 THB/month based on experience and qualifications. • We offer visa & work permit, 12 month contract, paid holidays (about 10 weeks per year), incremental salary increases & accident & health insurance. • We also provide opportunity for ongoing professional development with advancement to management positions for the right people. • Professional delivery of our highly effective course content. 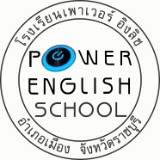 The Location: Power English is based in Amphur Muang, Ratchaburi, Thailand. This is a great place to live because within an hour and a half, you can easily travel to the beach towns of Cha-Am and Hua Hin, the floating markets of Damneon Saduak and Ampawa, the scenic mountains, waterfalls and hot springs of Suan Peung, or the excitement of Bangkok.